I have a Race Capture Pro2 and I want to use the Pulse/analog output to sent a GPS based speed signal to my ECU. The application is offraod rallying where we have a speed limits that we can set into the ECU system. The speed signal has to be very accurate and fast responding as we get a penalty if we go over 2Kmh speedlimit. Can this be done and how to do this? What is your max speedlimit and do you have the ability for a math channel in your ECU to rescale the racecapture output voltage into a kph speed value? This would involve scaling your gps speed value by a number to get it scaled between 0 and 5 v then an analog write to one of the output pin. Yes I can configure the ECU how I want as I’m writing the control strategy my self so I can calibrate to tago output or GPS navigation but a like to us one of the 4 ECU speed inputs working on frequency as I only got one channels left from the 16 analog ones on the ECU and any ground reference change will be resulting an a speed deviation and 2 x over speeding means exit rally or race. Main worry is temperature change as the data logger can hot @ >70 degrees centigrade….. so PWM/Hz will eliminate analog drifting of 0-5V DC output/ECU input. The speed limit is set to 150Kph for off road and 170Kph race. On offroad we have 4 speed limits 30 50 90 140 so I need a lager range on things. For race we only looking a 150 to 170Kph. 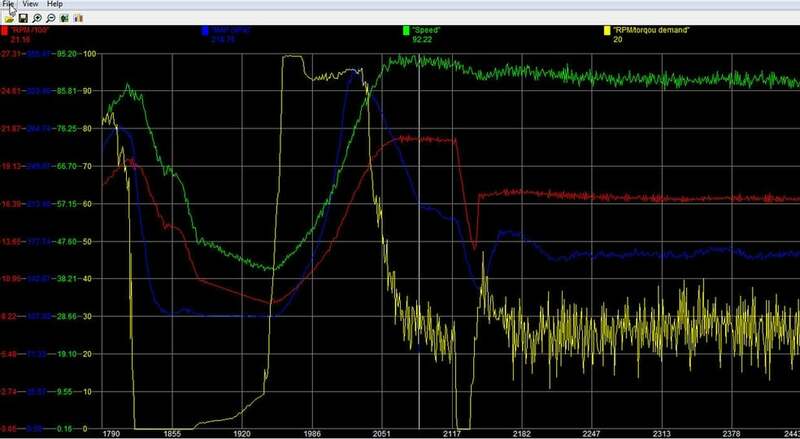 Note, the minimum settable PWM clock frequency is 320Hz. Thanks for the script it’s working and for testing I chance it to an RPM channel. 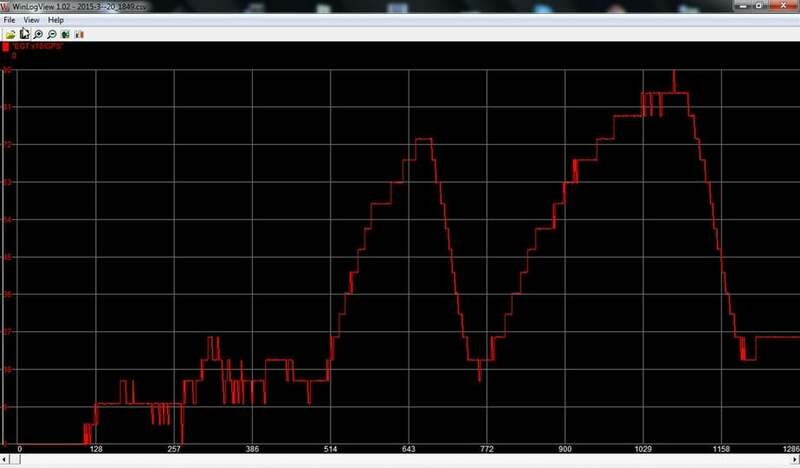 The PWM/Hz output is very slow in response as my data log form the ECU shows Kph steps and I set the sample rate from 1Hz to 100Hz and this makes no change on the PWM output. I need to have over 10Hz to get this working and 250 to 300Hz is what we normally use so is there way to get the output faster to respond? Also can you give me an example on how to set-up this function with a 0-5V DC analog output speed based? 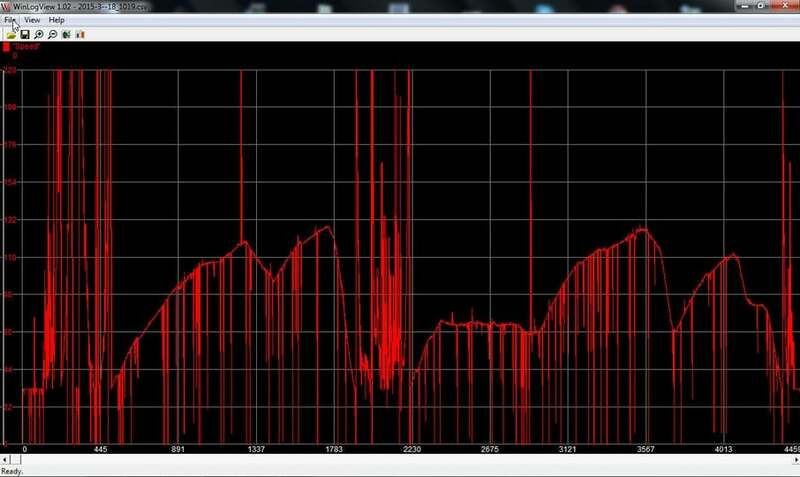 Result of this morning test drive en what the ECU reads from the data logger PWM out. Also speed indication only in miles. When can this option be fixed? 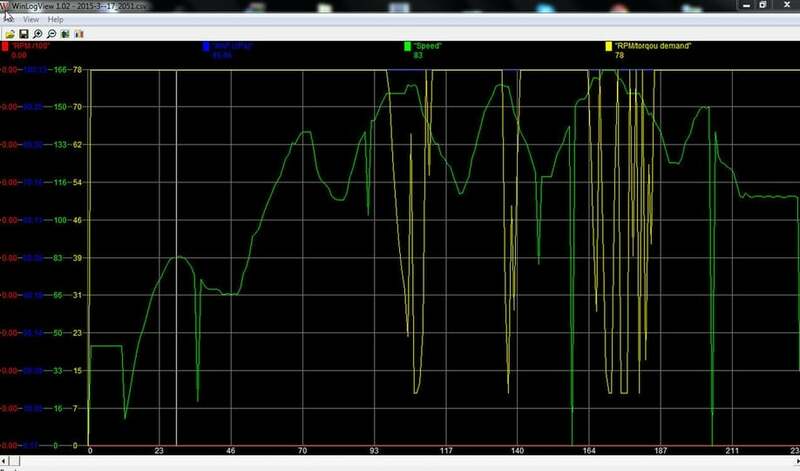 And this is how the ECU reads the gearbox speed sensor without any filtration on things. We will have support for switching between Metric / KPH in a near future firmware and app release. Thanks! Test with PWM/Hz output. As you can see the speed signal is freaking out @ low speed. Some more feedback on reading GPS speed. 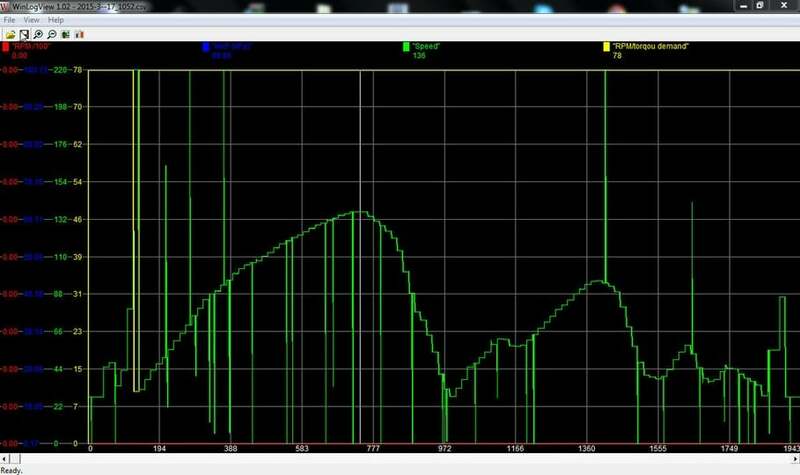 Running 50Hz sampling on GPS dos not provide a good speed signal but why? Here is how this happens. The GPS antenna also travels in more than one direction as the vehicle dos not travel on even ground so for off road you need to go back to 10Hz and on some circuits we can run 20Hz but we have dropouts on GPS signal mostly in industrial areas and on low speed you notice this as we use it for max speed governing. If the need for a hi sample rate on speed is there a fair bit of programming is needed as of incorporating the gyro and G force sensor into the speed calculation making it into a so called speedpot able to calculate speed very accurate and able to maintain speed calculation for a short time even when GPS fix is lost for a short time. getGpsQuality() yes it works getting the GPS fix up but dos not want to come down easy as you see the NR of satellite drop to a point a GPS fix is not there but the datalogger dos not drop from a 3 status to zero. Also getting a GPS fix takes more time than all other GPS devices we use but maybe things improved on the later versions of firmware?